Therapy for grief after divorce: Rudy and Jill, a couple in their early thirties who has no children, come in for marriage counselling, as they are considering separation. Jill wants to save the marriage; Rudy is ready to leave. After two or three sessions, it becomes clear to all involved that Rudy has made up his mind. The therapist helps the couple to talk about their relationship openly in such a way that Rudy and Jill are both able to learn, grow as individuals, and prepare for separation. After the separation occurs, the therapist continues to work with Jill to help her manage her grief and begin moving forward as a single woman. Divorce after a 30-year marriage: Raoul, 59, enters therapy after divorcing his wife of 30 years. Raoul’s children are grown, and he has been unhappy for years. He hoped the divorce would make him feel better, but he instead finds he is devastated by the loss. His wife, who had not wanted a divorce, now seems to Raoul “to be doing fine,” and this confuses him terribly. He even spoke to his wife about reconciling, but she was uninterested. Raoul thinks that is for the best, but he cannot seem to make the adjustment to being single. A therapist helps Raoul identify his fears about being single and then assists him in beginning to develop the skills and support system he needs to stay connected with people and feel hopeful about the future. Together, they identify the benefits of marriage that Raoul has chosen to give up and the benefits of being single that he can now enjoy. The therapist also helps Raoul get in touch with his grief and his guilt surrounding the divorce, his positive feelings towards his ex-wife, and his fears about being able to stay connected with his children. Lack of commitment, including marrying too young or marrying the wrong person. Communication issuesor a tendency to argue. Inequality in marriage, particularly regarding chores or care for children. Physical and emotional abuse and/or abuse of chemical substances. Unrealistic assumptions about what marriage would be like, including insufficient preparation for the challenges of married life. Criticism, particularly when the criticism is not outweighed by frequent positive statements. Contempt and lack of respect.Gottman argues that this is the single best predictor of divorce and can be seen even early on in a relationship. Defensiveness. People who cannot take responsibility for a problem cannot fix it and cannot display empathy for their spouse. Stonewalling, which is the deliberate avoidance of interaction and discussion of problems. Stonewalling can make it impossible to resolve an argument. When a marriage ends, it can often be emotionally traumatic for both partners. In order to cope with the process of uncoupling, which can be mentally, physically, and financially demanding, a couple who is divorcing may choose to begin therapy. Divorce therapy is usually done on an individual basis. A person who is going through a divorce may experience feelings of guilt, fear, anxiety, depression and grief, and working with a therapist can provide an objective and rational perspective and arm a person with the necessary skills to work through the difficulties of the divorce. People who use therapy to help them cope with a divorce can often benefit, as they may be able to learn more about themselves and come to see the life transition as an opportunity for growth and personal development. Divorce may contribute to or exacerbate certain mental health conditions, such as depression, anxiety, or personality diagnoses. Many people perceive divorce as a personal failure. Therapy can help one work through those feelings, make sense of the end of the marriage, and obtain a new perspective. 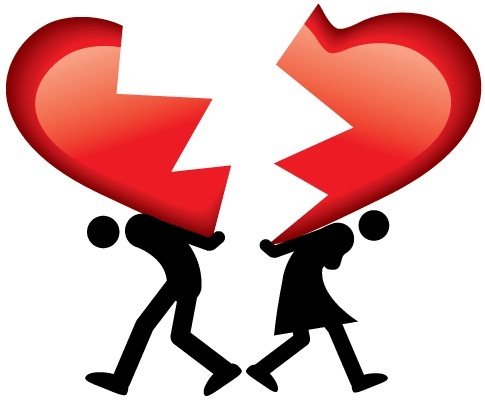 Individuals who have divorced may learn more about what they require from a relationship and what they do not desire in a relationship, and they may, through therapy, discover more about their own nature and personal characteristics. 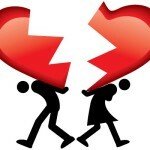 Divorce therapy is also available for couples who are in the process of going through a divorce. This type of therapy may allow some couples to better achieve the dissolution of the marriage in a healthy, constructive fashion. A divorce therapist can act as a sort of mediator and set guidelines to ensure that the divorce is achieved with minimal hostility and emotional damage. Therapists can also help address pertinent issues, such as living arrangements, financial obligations, and parenting responsibilities. Therapy can be important for children whose parents are divorcing. Because parents may often be consumed with their own feelings during a divorce, they might overlook the emotional state of their children, who may be confused by the divorce or feel guilt, loss, pain, or abandonment. Children may not be sure which parent they should “choose,” or be loyal to, and they might also worry that they are the cause of the divorce. When parents are aggressive with each other, a child may feel even more fearful, and a child who often hears his or her parents argue about custody arrangements might feel as if he or she is unwanted by either parent, or as if he or she is to blame for the separation. If all members of the family are able to discuss their feelings about any issues that arise as a result of divorce, they may be able to process their emotions more easily and better adjust to the changes. Divorce recovery is a process. Adjusting to changes that occur as a result of a divorce can take time. Part of the process is often the recognition of newly divorced people, whether they initiated the divorce or not, that their lives and the lives of those around them have been profoundly affected by their situation. Worries about financial solvency, employment, or housing may affect them. Stress over losing friends or family members as a result of the divorce can also be difficult to deal with. Additionally, parents may be emotionally overwhelmed by guilt as they consider what effects the divorce may have on their children. These issues can often be worked through during the recovery process. An individual in therapy may be more able to discover necessary coping techniques that can help in the establishment of a new life, and the individual may have an easier time developing a healthy perspective on the divorce. Divorce recovery therapy can also often provide people with a safe, encouraging, and empowering experience during what might, for some, be a difficult time.